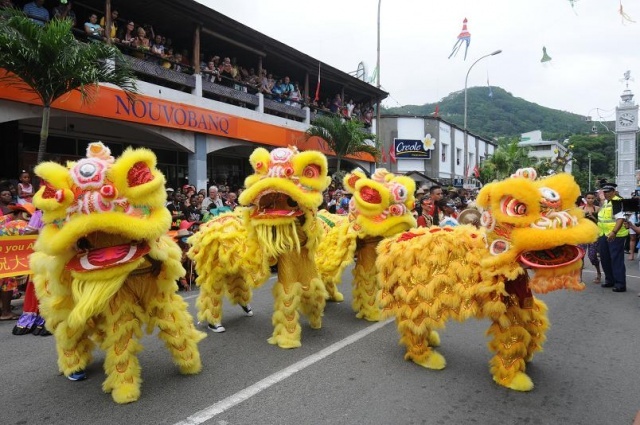 (Seychelles News Agency) - The Seychelles historical ties with China and appreciation for the Chinese culture will be highlighted this year, as the island’s capital of Victoria joins other countries around the world to celebrate Chinese New Year, in the first ever Seychelles-China Day celebrations, says Seychelles Ministry of Tourism and Culture in a press statement. The three day event from January 31 to February 02 is a joint initiative of the Ministry, the Chinese Embassy in Seychelles and the local Chinese Community and will feature Chinese cuisine and culture through performances by Liaoning Ballet, Liaoning Opera House, Liaoning song & Dance Troupe, Shenyang Acrobatic Troupe and Jinzhou Puppet Troupe from mainland China. The Seychelles islands are inhabited by descendants of African, French, British, Indian and Chinese settlers, and the first Seychelles-China Day is billed as the celebration of one branch of the islands' diversity. "We shall from this year onwards mark La Francophonie and a French Day, FetAfrik, the Commonwealth and a British Day, Seychelles-India Day, Seychelles-China Day and finally what we are today as the proud Creole People through the Creole Festival. We needed to recognise all our key historical origins if we want to continue to be the proud and unique Creole nation" says Seychelles Minister of Tourism and Culture, Alain St Ange. The Seychelles National Archives have records of the first Chinese arrival in the Seychelles in 1863 aboard a merchant ship. They were followed by a group of 23 more immigrants from Mauritius in 1886. Today Seychellois of Chinese origin form part of a large community, and are represented are in all sectors of society. For example the Seychelles first president James Mancham is of Chinese origin, as is the first Seychellois Anglican priest who became Archbishop, French Chang-Him.